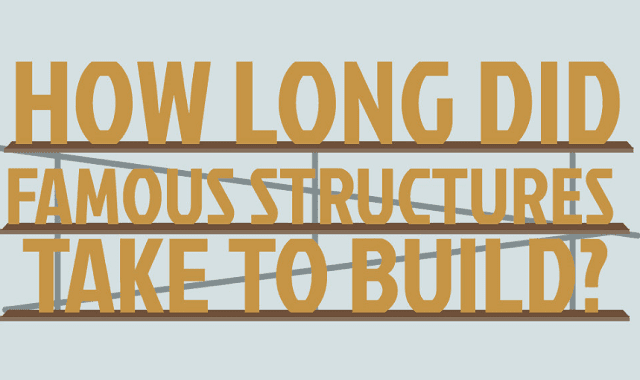 How Long Did Famous Structures Take to Build? #infographic ~ Visualistan '+g+"
When we travel we can't help but take elements of our domestic daily lives with us. For those in the construction industry we constantly find ourselves asking ‘I wonder how long that took to build?’ This pragmatic viewpoint has been the subject of quite a few post-holiday discussions at Rubberbond. We wanted to explore this in greater depth and find a resolution to the debates we'd had over the years. The British (Canada) burned the White House on August 24, 1814, as part of the War of 1812, not during the American Civil War.